Artist William Massey with his piece "Object of Wo(man). 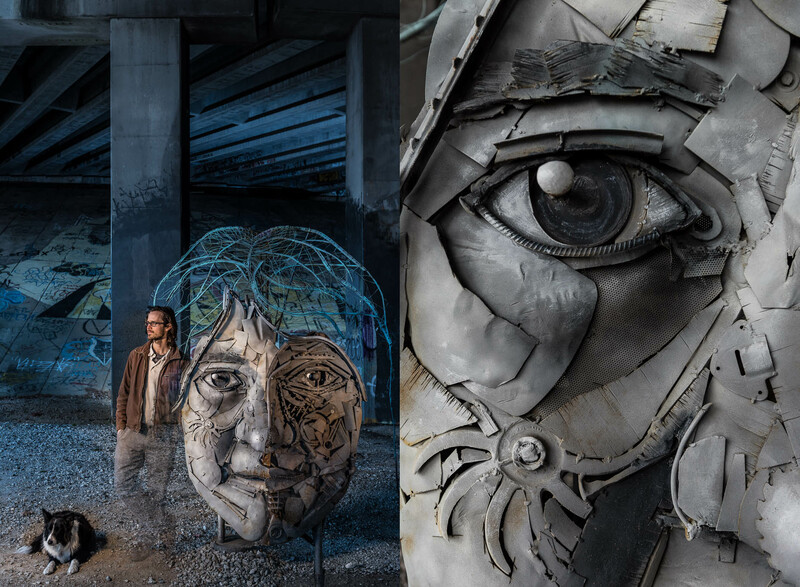 It is composed of three free-standing structures welded using 300 pounds of scrap metal found in Atlanta, GA. In William's own words, his work "...often incorporates matter with preexisting history; typically broken pieces, repurposed objects, and fragments all with their own separate stories. Every particle has a place as forms are assembled." There is only one place that a viewer can view the three separate structures as one portrait.